It was a game of two halves. The Tones had the better of their opponents over the first 30 minutes, however, over the second half the Gaels did just about enough to overcome the deficit and earn a 2 point win. Galway native, Sean Kelly at center back, and Corkman Don O’Driscoll at midfield, each put in fine displays for the Gaels and contributed some key scores when it counted. Mike O'Brien with 3 Gaels Closing in. The Wolfe Tones proved the better of the two sides over the first 30 minutes. Shane O’Rourke and Shane McGuinness provided plenty of options for the Tones and accounted for all but one of the Tones scores in the first half. The Tones moved the ball well, whereas on the other side of the coin the Gaels let themselves down when trying to mount an attack. Even when the chance was created the final shot was wayward. McGuinness was on the spot to net the only goal of the half with a close range blast. Apart from two early Coleman Mulkerrins points, the Gaels attack was mostly toothless. The Tones tallied 1-6 to two points for the Gaels for the remainder of the half to lead 1-6 to 0-4 at the break. After the restart the Gaels stormed into the lead. A quick salvo of a goal and 4 points put the Connemara men into a one point lead as the Tones still seemed in half time team talk mode. Points from Kevin McGrath, Ryan Caffrey, and Don O’Driscoll were followed by a goal from McGrath who latched onto a dropping ball and side stepped the keeper to finish into the open net. O’Driscoll followed with two more points as the Corkman came into his own and the Gaels had the momentum. The Tones had plenty of life in them however. A Cormac McWalter point to stem the Gaels tide was followed by a goal from McGuinness who made his own opening with a 25 yard run. Just a point between the teams to see us into the final 10 minutes. With the grand finale approaching, it was late points from Sean Kelly and Hopper McGrath that gave the Gaels enough of a cushion to hold on and claim the points. 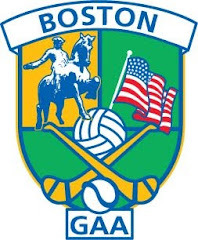 Gaels: Eoin Connolly, David Black, Sean Corbett, Niall McGinn, Sean Kelly, Ciaran Killeen, James Flaherty, Dan O’Driscoll, Sean Conneely, Ryan Caffrey, Coleman Mulkerrins, Kevin McGrath, Gavin McCrystal.